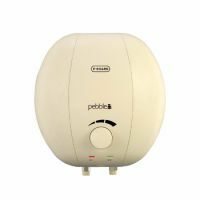 This Pebble Metalicca 6L (White and Blue) geyser water heater comes with Adjustable capillary thermostat for temperature regulation and Metallic finish front panel.This water heater comes ABS outer body with Multi functional safety valve. It is 5 star rating as per BEE standard. 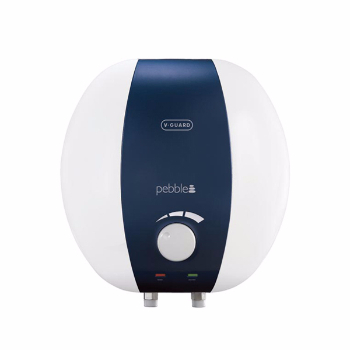 The Pressure pump/multi-storeyed building usage compatibility with 8kg/cm2 pressure withstanding. This product is ideal for hard water prone areas as well, making it an all-rounder. To Recieve updates and possible rewards for V-Guard Pebble Metallica 6L (White and Blue) please sign in. To Recieve updates and possible rewards for Geyser/Water Heater please sign in.